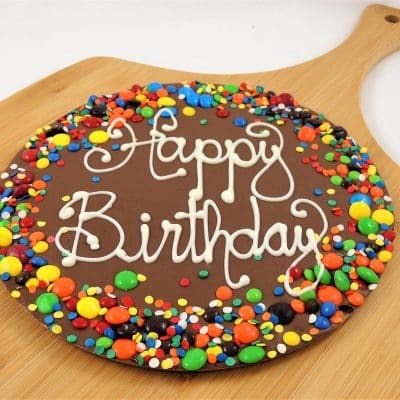 It’s one thing we all have in common – we all celebrate birthdays. 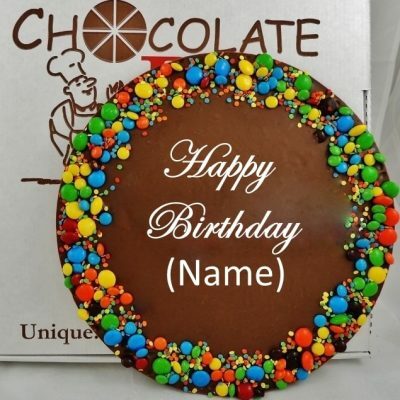 We also want our birthday gifts to be as special as the day. 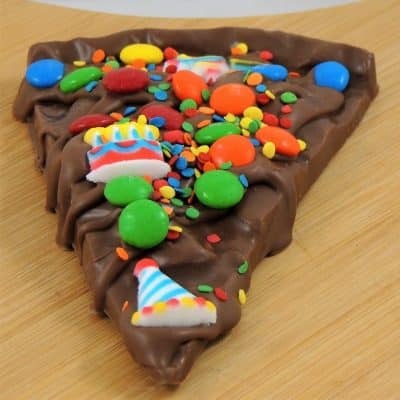 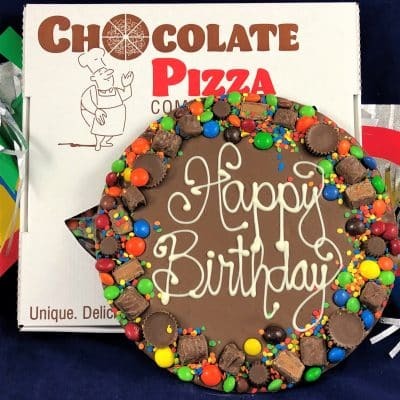 Choose something unique and made in America by Chocolate Pizza Company. 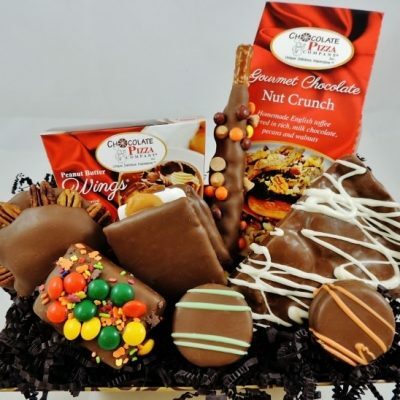 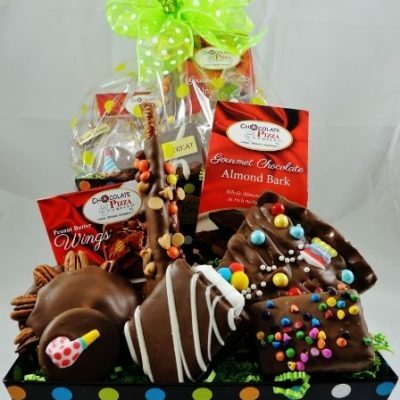 Handcrafted gourmet chocolate gifts are created by skilled artisans whose passion is chocolate. 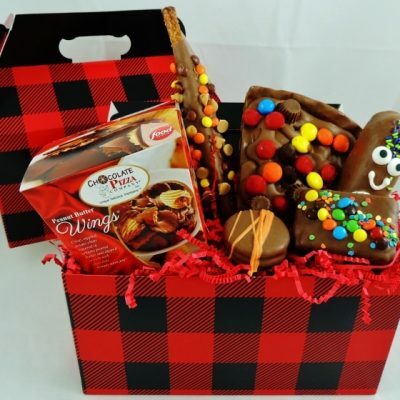 The good news is you have found a place where wishes come true – your shopping adventure in search of that perfect present is over. 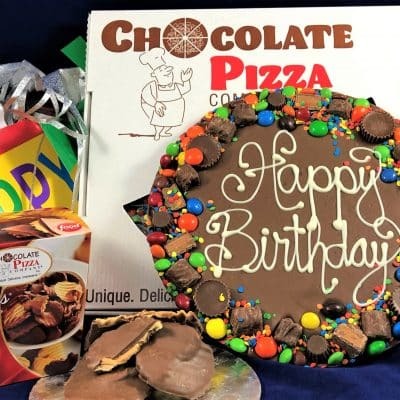 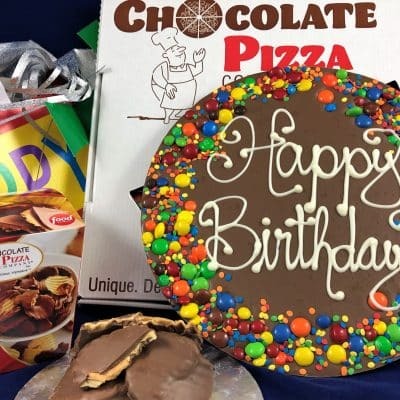 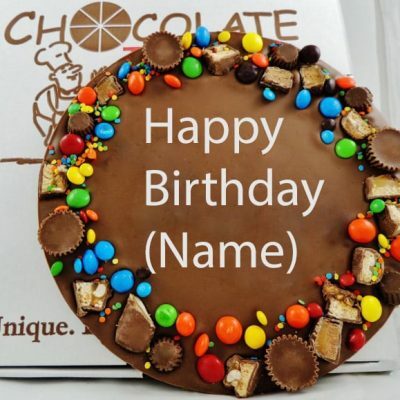 There is nothing cooler than a birthday gift from Chocolate Pizza Company. 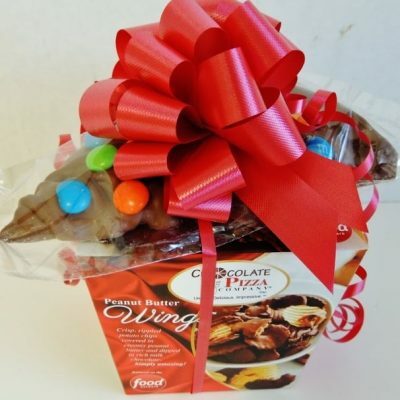 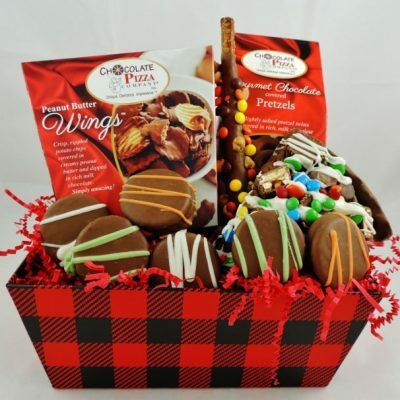 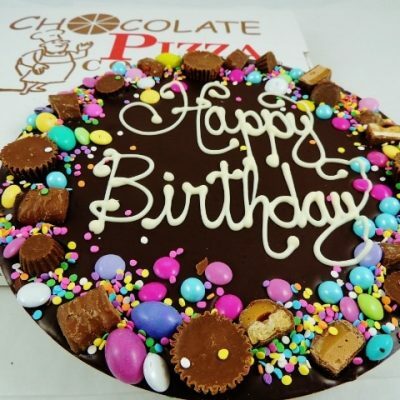 Whether it is our signature Chocolate Pizza or famous Peanut Butter Wings or any of dozens of delicious chocolate specialties, every choice is the right one. Featured on Food Network, our handcrafted, gourmet chocolate treats are as creative as they are delicious. 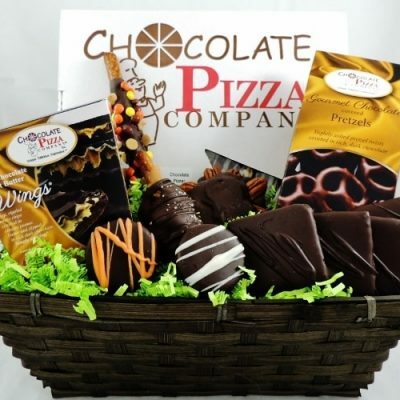 We use only the highest quality Swiss-style chocolate – you can taste the difference. 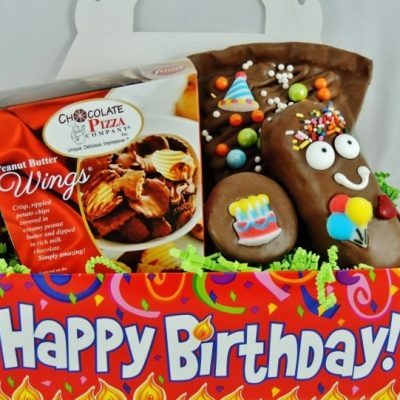 Relax, you are about to give the one birthday gift everyone agrees on and appreciates!